Time for the last of the fall clean-up. You’ve probably wrapped trunks of your deciduous trees with paper wrap to prevent sun-scald injury, a condition that develops when the warm winter sun is absorbed by the plant’s bark. And you’re probably still watering trees and shrubs, so they start the winter season off with enough moisture. Keep trees and shrubs stress-free by continuing to water every three to four weeks throughout the winter while temperatures are above freezing and the soil is not frozen. However, shrubs that are protected by a wall or house eaves are susceptible to drought damage regardless of weather conditions. Water them deeply every six to eight weeks only when the air temperature is above freezing and early in the day. The first day of winter is still a few weeks away, but the weather has already produced winter storms full of blustery winds and freezing precipitation that could damage trees and shrubs in your yard. At this time of year, ice and snow that clings to any leaves still hanging can add enough weight to snap branches and punishing winds can bring the entire tree crashing to the ground. Frigid Arctic air is already moving down from Canada into the U.S. and weather predictors are forecasting polar-vortex conditions for most of the country at least once during the winter of 2014. Even though brief cold snaps are unlikely to kill a tree, longer stretches of bone-tingling cold can do great damage, especially to young trees. Protect the root systems using burlap, straw or mulch as a blanket against temperature extremes and to retain moisture. If a tree has indeed suffered damage during a storm, make sure to attend to it immediately. Use a chain saw to cut off damaged branches, or cut the tree down entirely. Cut the trunk into smaller pieces, then use a log splitter to ready the wood for the wood pile – and for cozy fires after the wood dries out. Or rent a wood chipper to make your own mulch and spread it under older trees for winter protection. Shake heavy snow off shrubs and trees to keep branches from breaking or bending. Leave snow at the base of plants for insulation. Disconnect, drain and store garden hoses to prevent them from bursting. Cover tender plants, anchor with weight and leave in place until warm weather returns. Take potted plants inside – leave in the garage or in the house. If your have a greenhouse, keep the inside temperature above 35 degrees for plants to have a better chance at survival. Try not to walk on lawn that’s not insulated by fallen snow, which can damage frozen grass. 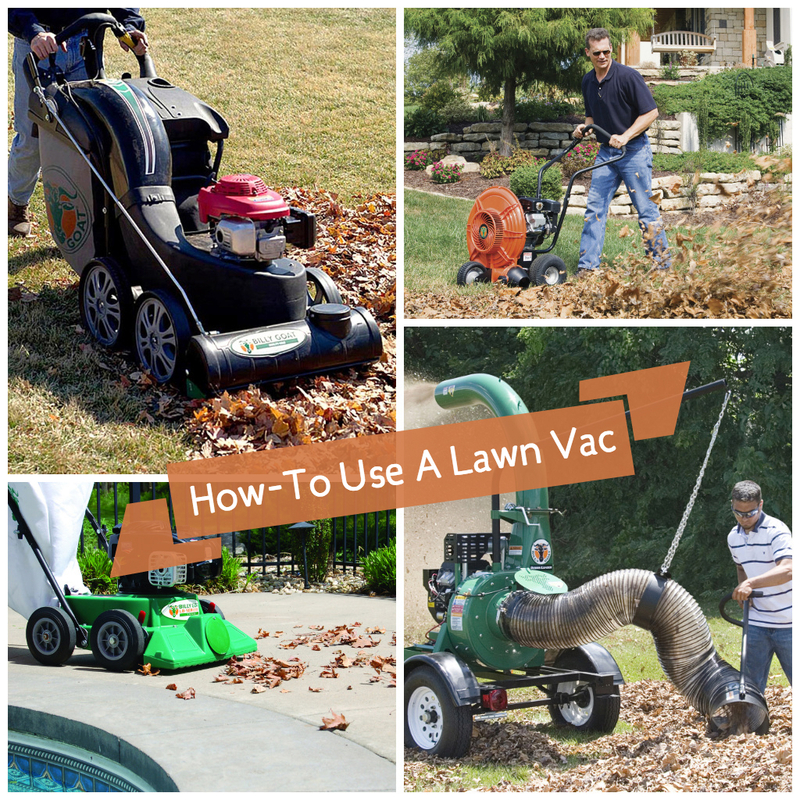 Our expert staff is always on hand to help you with cleaning up and winterizing your yard. From chain saws to log splitters, wood chippers and everything in-between, if you have any questions about what to choose, pricing or how-tos, don’t hesitate to contact us. Stop by our store — we’re open seven days a week. When it comes to refurbishing your hardwood floors so they look new again, a sander is your best friend. Actually, you’ve got a few new friends in the sander isle at your local rental store, because to sand a wood floor to perfection before finishing, you’ll likely need to use more than one kind of sander. Depending upon the condition of the floor, you’ll use a variety of sanding techniques, too. For instance, if the floor is flat or new, plan to sand it up and down, following the grain of the floor boards. However, if the floor is uneven, painted or varnished, plan to sand it across the grain at a 45-degree angle to remove unwanted finish and avoid damaging the wood. Drum Sander – uses a rotating drum wrapped in sandpaper, which can be replaced by unscrewing the retaining strip, feeding a fresh sheet of sandpaper around the drum, then re-securing it. Drum sanders do the heavy-duty work of removing old paint and varnish with a continual application of sanding grit, producing a smooth finish. Start be sanding diagonally in one direction across the floor, changing direction for the next set of diagonal runs followed by a final run in the direction of the wood grain. Orbital or Rotary Sander – uses a rotating sanding disk that produces the same smooth finish regardless of the direction of the wood grain or sanding runs, leaving no swirl marks. 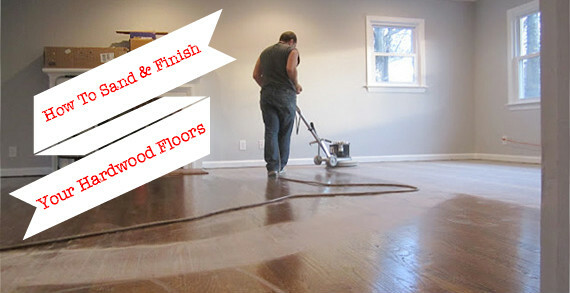 Best used for the first sanding of the floor rather than between coats of finish or paint. Edging Sander – uses a disk of sandpaper to sand areas of floor that are close to the walls or baseboards. Usually hand-held, this specialty equipment is mounted on a big motor and includes a bag for collecting dust. Corner Sander – uses a vibrating sandpaper head in a triangular shape that fits nicely in corners and other small spaces like under a radiator. Buffer – uses a rotating sandpaper disk to screen, which blends the edge-sanded perimeter with the drum or orbital-sanded area, polishing out sanding scratches. Buffers also give a sanded floor a final buff or polish before finishing. Once the floor is sanded, screened and buffed to the desired smoothness, sweep and vacuum to remove any remaining dust or debris. Touch up any rough places with hand sanding. Wipe with a damp sponge and let dry. Choose your finish and apply. Two coats of water-based varnish can be applied in as little as one day, with light hand-sanding between coats. If your wood floors are scratched on the surface, you can clean and remove the scratches without having to sand down to bare wood. Find out how by reading our blog, Spruce up Your Wood Floors in Time for Winter Entertaining. Our expert staff is always on hand to help you with your sanding projects. From drum sanders to rotary sanders and everything in-between, if you have any questions about what to choose, pricing or how-tos, don’t hesitate to contact us. Stop by our store — we’re open seven days a week. With the holidays right around the corner, you may be feeling the pressure to get all your Christmas shopping done, your holiday decorations down from the dusty attic and as many baking and family meal-time groceries checked off your grocery list as possible. Well, not to add any additional stress to your to-do list, but we find getting out the craft supplies and power tools is a great way to relieve some energy and personalize your home for holiday entertaining and get-togethers. Who doesn’t love a little drilling and cutting? To get your creative holiday juices flowing, below is a list of DIY Thanksgiving and Christmas projects compiled from several famous bloggers. Pin your favorites and have fun with it! These are just a few DIY project ideas for your holiday decorating and entertaining – with your bright imagination I’m sure you could come up with more! So, if you ever need advice or help choosing which tool/s to rent for such an undertaking, let us know and we can set you up. Happy Holiday DIY-ing! Need to climb to high heights and get a chore done on your property, or perhaps shoot a movie (it’s been known to happen)? Well, there’s a lift for that! 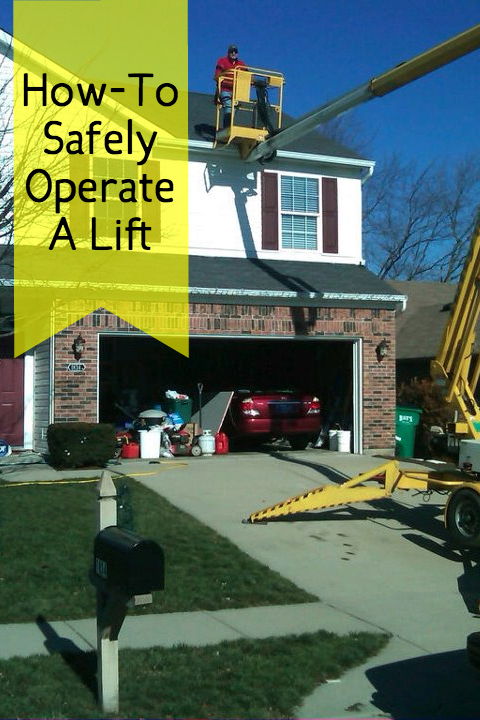 Lifts are specialized machines that help you safely access work areas that are located high above ground level, and are hard to reach with a ladder. In the case of a movie shoot, a lift can put you and the camera up high for panoramic views of a set or outdoor vista. A scissor lift uses a single crisscrossed metal arm mechanism that moves straight up by electricity or hydraulics, delivering a smooth ride to the elevated work area. A boom lift has articulated joints and extendable metal arms usually fixed to a 360-degree rotation turntable that swings them full circle for quick and flexible positioning, above obstacles or other areas that are not safe for a standard scissor lift. Whether you rent a scissor lift or a boom lift, it’s important to follow standard safety procedures when operating either one. Step 1. Inspect the equipment before operation. Check the platform floor, guardrails, toe boards, tires, wheels, basket, hydraulic hoses and fittings for fluid leaks. Test the ground controls, manual lowering controls, platform controls and emergency stops, making sure that every function of the lift works correctly, including steering and drive functions. Step 2. Check the work site at ground level for uneven surfaces, drop-offs or holes, bumps, floor obstructions or debris and overhead hazards, making sure the lift is not parked on a slope that exceeds operator manual specifications. Make sure you’re not going to exceed the maximum lift capacity of the machine. Step 3. Wear appropriate personal protective equipment, such as a safety harness and any protective equipment specific to the lift you’re using, such as a fall arrest lanyard with a boom lift. Load your equipment into the basket. Step 4. Turn on the engine and run through all of the lift operations, including raising, lowering, extending, retracting and/or basket tilting. Move the lift forward and reverse, then move it into place. Make sure it is stable. Set any safety outriggers, if equipped. Step 5. Lift the work basket or adjust the height and angle of each boom arm to reach your work area. After work is completed, take care to shut down the lift, leaving all arms in locked positions. JLG and Genie Scissor Lifts and Boom Lifts are available for rental. Most are appropriate for both indoor and outdoor applications and are reliable and energy-efficient, offering the maximum job productivity. Some run quieter and cleaner, while others fit through most standard doorways and tight aisles, perfect for areas with limited access and maneuvering in tight workspaces. If you have any questions about what to choose, pricing or how-tos, don’t hesitate to contact us. Our expert staff is always on hand to help you with surface preparation projects. Stop by our store — we’re open seven days a week. As a seasoned do-it-yourselfer, you’ll come across projects that require specialized equipment to get the job done right. Say you’re re-flooring a barn, workshop or warehouse building on your property, or you want to re-surface your long concrete driveway – these kinds of projects need tools that can accomplish surface preparation such as removing epoxies, elastomerics and masterplate for planing concrete and asphalt with ease. These are times when a concrete planer comes in handy. What is a Concrete Planer? 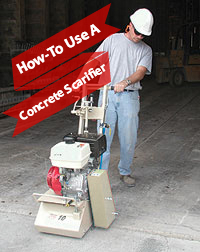 A concrete planer is sometimes called a surface planer, milling machine or scarifier. Planers use multi-tipped cutter assemblies that rotate really fast, creating a pummeling action that chips away at a concrete surface and removes old coatings. The cutting wheels or flails are interchangeable, depending on how smooth a surface profile you need to achieve for any job. This 800-lb concrete planer moves by itself, which cuts down on the work you’ll do to operate it, but makes cutting through and removing old concrete or asphalt quite efficient. The hydrostatic drive transmission moves the machine forward and backward while you control the speed, milling a 12-inch wide surface area with each pass to complete as much as 1,500 square feet in one hour. In addition, the hydraulic-powered drum lowers and raises itself with the touch of a lever, to a depth of up to ¼-inch into the surface. The Edco CPU12-38K also has a cam-operated fifth wheel that allows you to reposition or change direction while the engine is still running. If you use the Standard Outrigger Axle Assembly, you can follow the contours of uneven surfaces more closely, which provides uniform surfaces removal. This 12” Gas Concrete Planer is available for rental. If you have any questions about what to choose, pricing or how-tos, don’t hesitate to contact us. Our expert staff is always on hand to help you with surface preparation projects. Stop by our store — we’re open seven days a week.